I can identify two distinct times in my life that I got deeply disappointed and mad at the United Kingdom; the first time it hit me as a Cypriot and the second time it had more to do with me being a European citizen. As I mentioned before, I come from Cyprus, which is an island that has a long history with the UK. 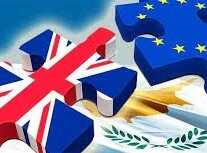 Cyprus used to be a colony of the British Empire from 1878 up until 1960 and, as a consequence to that, we celebrate our independence each year on the 1st of October. As a side comment to that I would like to ‘congratulate’ Mr Nigel Farage for coming up with that brilliant idea of celebrating the 23rd of June as a British Independence Day consequentially reminding all the nations that were trying to emancipate from British colonial rule of all the suffering and hardship they endured. Since the age of 6, which was when I first stepped my feet at primary school, I was taught about how we got our independence. Every year we celebrated it, we sang songs about it, we recited poems written by people who fought and died in the name of freedom and we read articles about the various missions organised by EOKA (the Greek-Cypriot nationalist guerrilla organisation fighting to terminate British rule in Cyprus). We were told that rebels as young as 19 were hanged, we visited the prisons where they were tortured and we were even showed the hanging gallows. I do not intend to lie so I must confess that due to the fact that I was a child, I was not really touched by the gruesomeness that surrounded me at that point. Neither was I much later, as a teenager, appalled by the realisation that the division of my island was profoundly linked to the application of the ‘divide and rule’ policy by the British which ultimately led to the polarisation of the two main communities residing in Cyprus. After all, I cannot put the blame solely on the British for the Turkish invasion in Cyprus. It was when I was 19 and, during my first year at law school that I got deeply offended as a Cypriot by the UK. This was when I realised that the British still, up to that point, referred to EOKA as a terrorist organisation hence, impliedly denying that what these people were fighting for was their freedom. Is it really possible to equate ISIS jihadists to a Cypriot organisation rebelling against British rule and ultimately seeking independence? This was, and frankly, still is, to me unacceptable and inexplicable. What puzzled me even more than the ‘EOKA/Terrorism’ situation was the result of the EU referendum held on the 23rd of June. I was truly and utterly speechless. I used to consider UK as my second home country since I had spent four blissful years studying there while dreaming about staying or even returning back to work there. Nonetheless, the majority of its people voted to block any dreams I had made of ever finding a job there. I did not comprehend this vote though as a gesture of trying to make a statement against the European Union’s policies, which I have, on various occasions, found incoherent. After all, let us not forget what happened in March 2013 when the EU, in a joint decision with the government of Cyprus, decided to seize the money of depositors with more than €100,000 in the two largest banks in Cyprus. Rather, the UK’s EU referendum decision was based on delusional ideas on sovereignty and what used to be the British Empire. The days that followed Brexit have led to a culmination of racist assaults all over England where people of non-British origin, who have been living and working there, have been verbally attacked and ordered to ‘go back home’. I found myself, on several occasions, thinking that that country was supposedly notable for its tolerance and acceptance of foreigners. I kept reminding myself that so many Cypriots that I know chose UK as a place to start their careers at and, that so many Cypriots that I do not know of had fled from Cyprus during the 1970s due to the war and in search of a brighter future. To this end, I am still refusing to believe that that ‘51.9% ‘ is as naive and ignorant as to submit fully and trust in the propaganda of a xenophobic, delusional man who supports the far-right wing. While I am well aware of the consequences surrounding the imposition of severe measures of austerity, given the fact that I am a Greek-Cypriot and as such I sympathise with the Greeks, I did not see any Greeks protesting against the one million refugees that have travelled through Greece since 2015. Instead, I patiently read and listened to the interviews of many Brits who do not want their country to be ‘contaminated’ with refugees even though the highest number of people applying for asylum is in Germany. If the Brexit vote will operate as a way to target groups of people, use them as scapegoats, and terrorize them in the name of nationalism then the European Union has completely lost its track. The fact that Europe’s far-right parties have hailed the Brexit vote is no coincidence. The referendum vote should not be perceived as a vote of ingratitude towards what the EU has offered, neither should be seen as a vote of pure preference of national sovereignty over European solidarity; rather, it should be understood as a deeper, fundamental political crisis that exists among the European countries. We are currently stuck in a situation where people seem to confer their trust in pro-Nazi parties. As such, my strong sentiments against what happened with the Brexit vote have nothing to do with the pessimistic idea that the EU is collapsing and the world is going to end as soon as the UK leaves, if it ever leaves, the EU. My anger is directly linked to what has followed the Brexit decision. What I have seen is a United Kingdom that is not united anymore with Scotland and Northern Ireland wanting to remain in the EU and millions signing a petition for a second referendum. I am constantly reading about people living in the UK who are not feeling safe anymore and, frankly, I have never been more disappointed with the Brits than I am now. Next Article » What are the aims and the forecasts of the Draft EU Budget 2017?